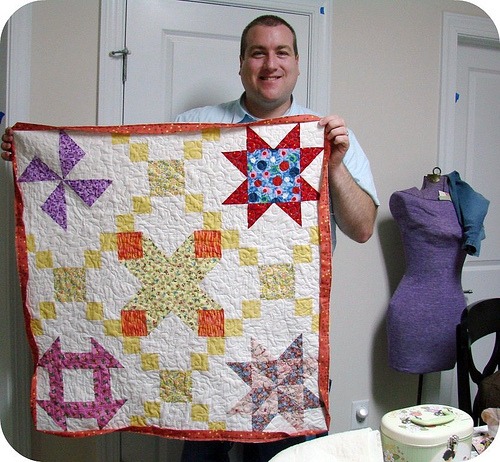 He is a dad and yes, he likes to quilt. Quilt Dad. You are adorable.